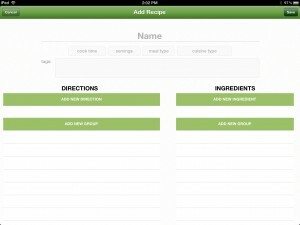 Basil—A Smart Recipe Book For iPad ($3.99) by Kyle Baxter is a great tool for anyone that enjoys cooking. It's no surprise -- the iPad is a great thing to have in the kitchen for looking up recipes, as long as you can keep it clean and safe. 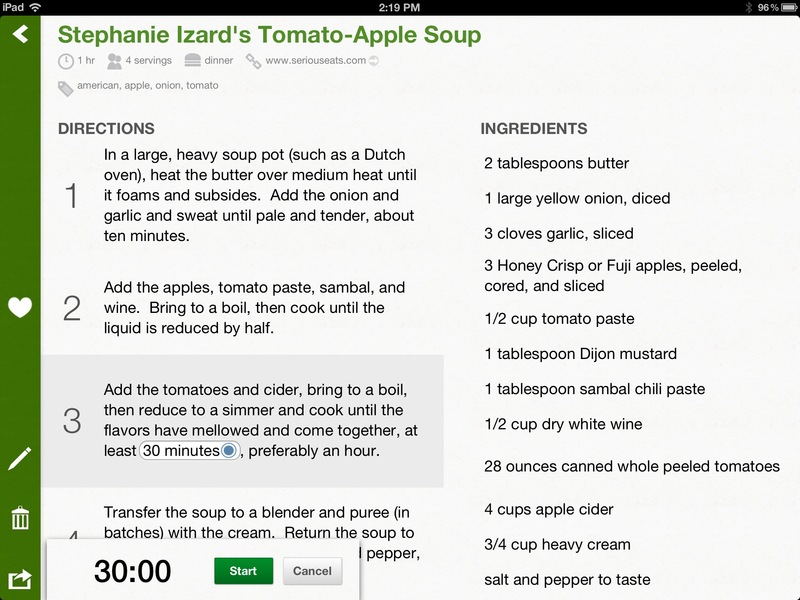 Basil is another app that will definitely make cooking even more of a joy. The interface of the app is clean and simple, which is probably the best thing, since you don't want to deal with a clunky interface while cooking. I love the simplicity of the app -- it's easy to understand how to use it. Best of all, the app seems to be optimized for the Retina display of the new iPad. 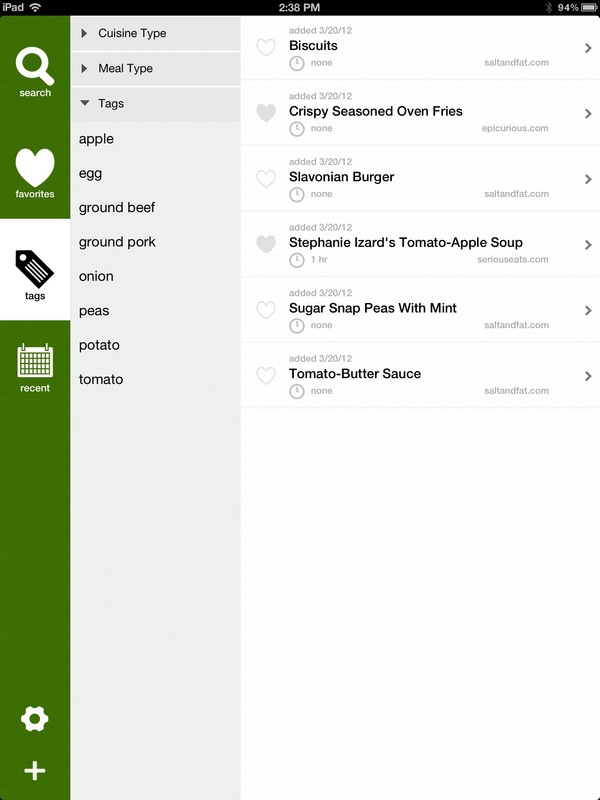 With Basil, you will find some recipes already in the app by default (courtesy of Salt & Fat). Feel free to keep them, or delete them if you wish. You can easily add your own recipes to the app, or you can even use the in-app browser to search for recipes. 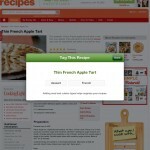 Basil supports one-touch saving of recipes from some major big-name recipe sites, such as Serious Eats, Food Network, Epicurious, and Bon Appetit. There are a total of 10 supported websites, and chances are that you use them already. 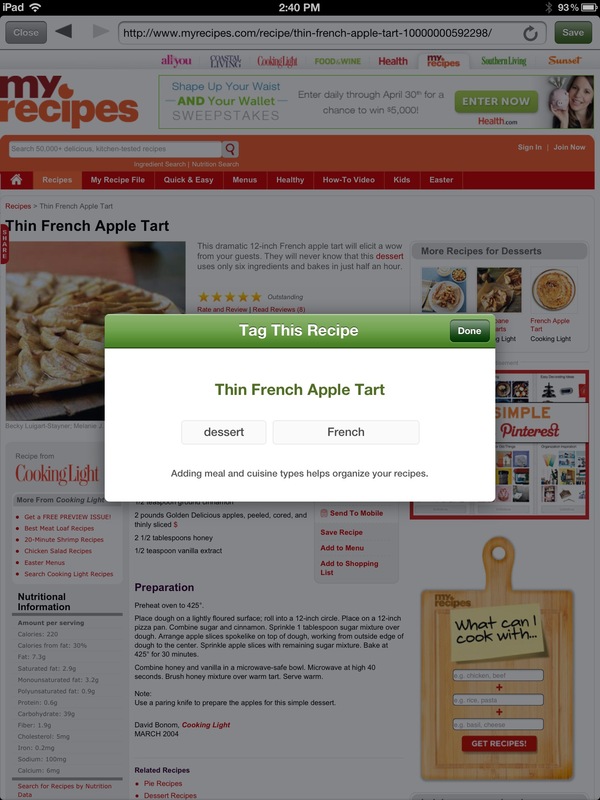 If not, the app also includes a bookmarklet that you can install into mobile Safari, which allows you to send recipes from Safari into Basil. Pretty handy, right? If you choose to add in your own original recipes, the app gives you room to modify the cook time, servings, meal type, cuisine type, and even add tags for organizational purposes (the main ingredients of any new recipe are added as tags automatically). 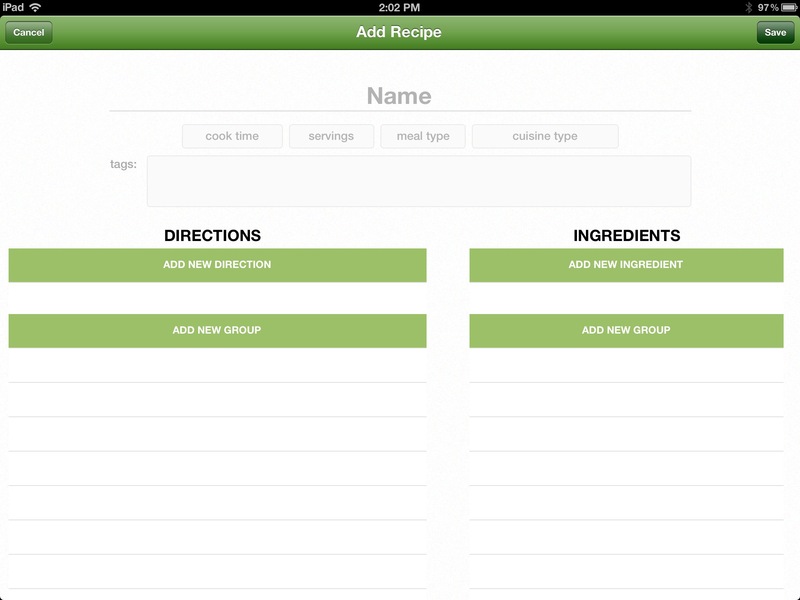 You can add your own directions line-by-line, and even organize them into groups (great for multi-phase recipes). Ingredients can be added one-by-one as well, and also separated into groups if necessary. 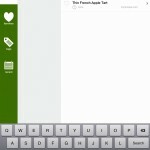 Adding in your own recipes can take some time though, so I recommend using a keyboard with your iPad for the most efficient way to add recipes. 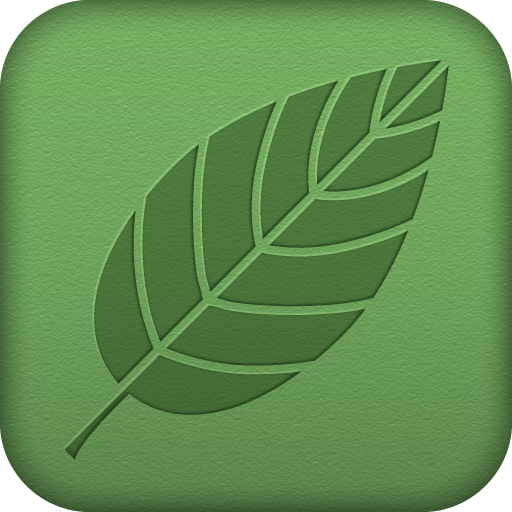 Any recipe that is added into Basil can be favorited, edited, or deleted. 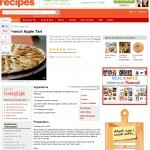 You can also share the recipe by email or Twitter. However, there seems to be a bug with emailing – it seems that directions will appear out of order (though they are numbered). Hopefully the developer can fix this minor issue soon. 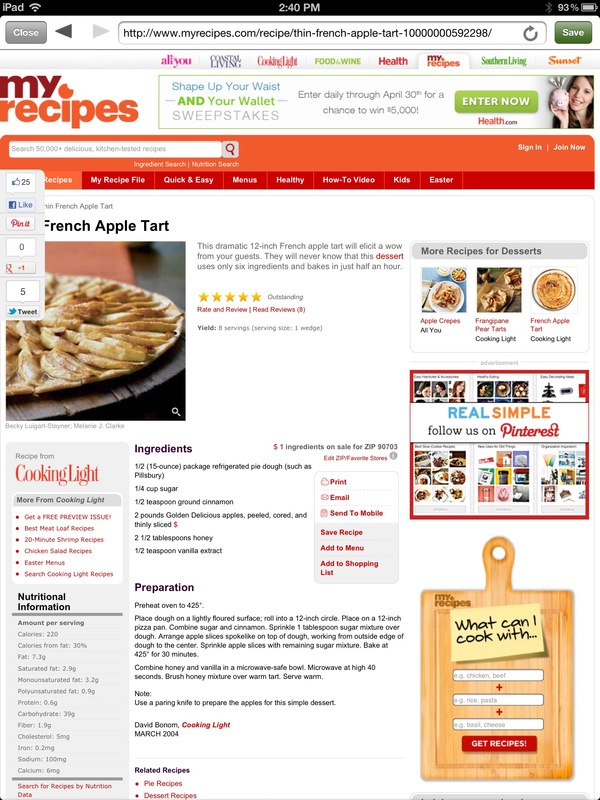 Cooks can search through all of their stored recipes (and even see past searches). Favorited recipes are viewable in the Favorites tab, and you can find recipes under their tags (or Cuisine or Meal types). 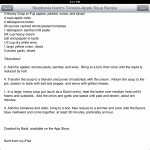 Most recent stored recipes will appear under the Recent tab. One of the most useful features of Basil that separate it from the rest is the implementation of smart timers. If your recipe has any time-based directions, just tap on that step – a timer will show up with that amount of time ready to go. This is incredibly handy to have, and reduces the need for a separate app (or just switching between apps) just for timers. For what it’s worth, Basil is off to a good start. However, some additions may make it even better in the future, such as a way to keep your recipes synced via iCloud or Dropbox. 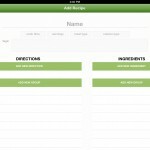 I currently can add as many recipes I want to the app, but what happens if I need to restore my device? 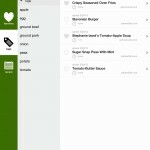 How would I get the recipes out of the app so I can import them back in later? Hopefully the developer is already working on a backup and syncing solution. 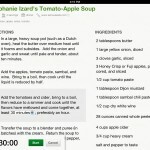 Besides that, Basil is definitely a great recipe manager for any iPad-using cooks out there. Make sure to check it out in the App Store. 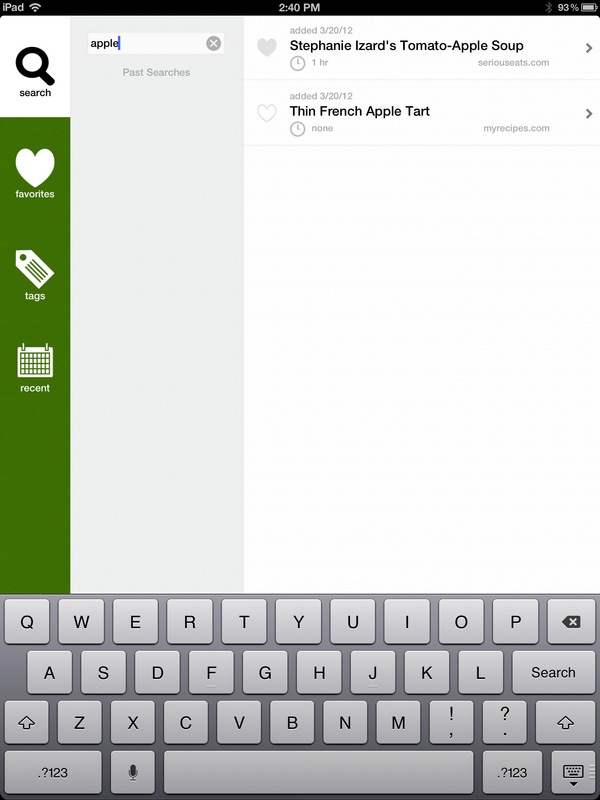 UPDATE: The latest update to 1.0.2 fixes the out-of-order directions when emailing a recipe. There are other important bug fixes in the update as well, and the app is now Retina ready for your new iPad.